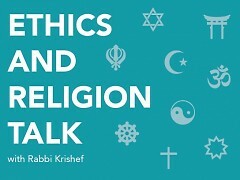 What is Ethics and Religion Talk? 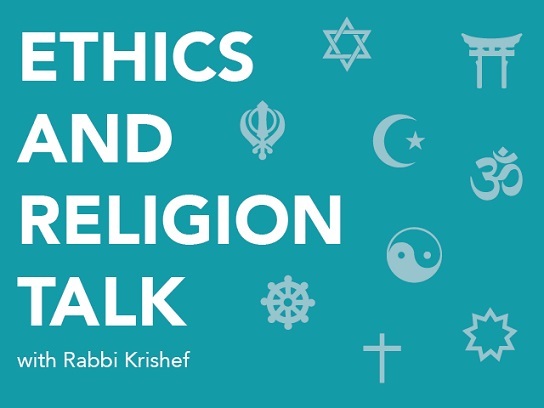 “Ethics and Religion Talk,” answers questions of ethics or religion from a multi-faith perspective. Each post contains three or four responses to a reader question from a panel of nine diverse clergy from different religious perspectives, all based in the Grand Rapids area. It is the only column of its kind. No other news site, religious or otherwise, publishes a similar column. We’d love to hear about the ordinary ethical questions that come up on the course of your day as well as any questions of religion that you’ve wondered about. Tell us how you resolved an ethical dilemma and see how members of the Ethics and Religion Talk panel would have handled the same situation. Please send your questions to [email protected]. ... that we have betrayed the LORD time and time again, and that I, as a Jew, am a disgusting, filthy pig. It was nothing more than a clumsy attempt to convince me that God would love me if I became a Christian because God no longer likes Jews. You can be sure that we will use the money to support the work that we do, supporting and encouraging those who are committed to Judaism as a spiritual path and who, with great dedication and love, continue to observe God’s covenant. More than anything, I appreciate the fact that you have the courage of your convictions to sign your name as well as giving a return address so I may respond. … I can tell from reading just a bit of your writing that you sincerely love Martin Luther. I have no love for him, and as you know he had no love for Jews. If you are ever in Grand Rapids, I’d love to have a face-to-face conversation with you. Perhaps you would be a better Christian and be better able to love your neighbors by learning a bit more about what Jews and Judaism are all about. In return, you can explain to me how you as a Christian can justify using such strong language against anyone who believes differently than you, including other Christians. Do you really think that the use of such language makes your faith attractive? Tim took me up on my offer. He was passing through Grand Rapids about a month later and we had breakfast and talked about our respective religious faith. I took him to the synagogue and showed him the memorials to those who lost their lives in the Holocaust and pointed out that Hitler’s anti-Jewish Nuremberg laws were modeled after Luther’s statements about Jews. Over the course of the next several months, we continued to correspond. He took down his website, on which he had published his essay. He asked me for suggestions of books to read about Judaism. And he asked me if I would take him to Israel, at his expense, to allow him to see the Jewish homeland through my eyes. 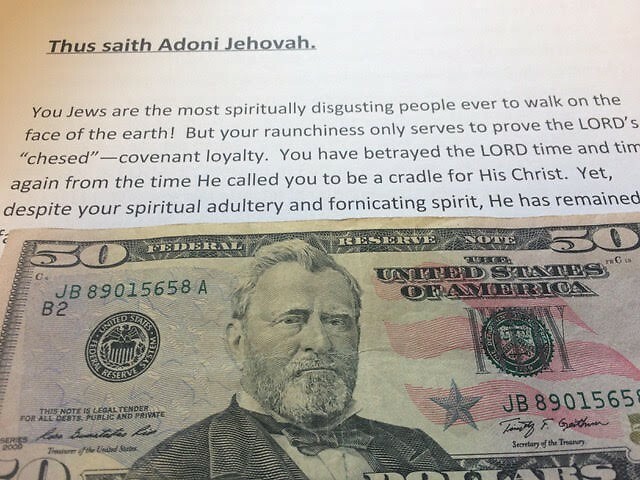 Some of my colleagues and friends thought this was an amazing opportunity to participate in a process of repentance and change; others thought I was crazy to consider it. As you read this column, I will be in Israel for a week with my new friend Tim Vance, showing him a variety of expressions of Judaism. My friends on the Ethics and Religion Talk panel – would you have taken Tim on such a trip? Why or why not? This column answers questions of Ethics and Religion by submitting them to a multi-faith panel of spiritual leaders in the Grand Rapids area. We’d love to hear about the ordinary ethical questions that come up on the course of your day as well as any questions of religion that you’ve wondered about. Tell us how you resolved an ethical dilemma and see how members of the Ethics and Religion Talk panel would have handled the same situation. Please send your questions to [email protected]. Ethics and Religion Talk: Can My Car be Cursed? Ethics and Religion Talk: What Do You Think of Hospice?